Present state: The station has been demolished and the cutting infilled with houses and shops now occupying the site at a higher level. The infilled overbridge is still there. To the north of the station the cutting has been filled in but the land has not been developed. 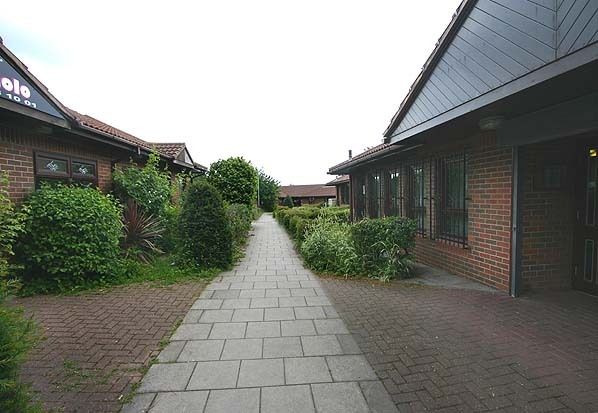 Notes: Hucknall Town was the first station south of Annesley on the London Extension. 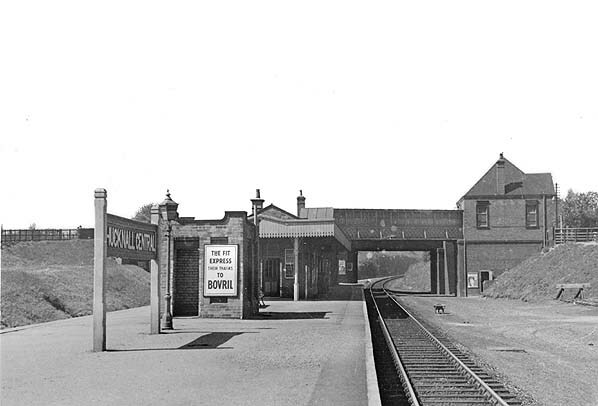 It was one of the larger intermediate stations on the Great Central, it still had an island platform but the platform buildings were more substantial with a canopy, only the gents toilet was detached standing along at the end of the buildings. The station had a street level booking office from where a covered bridge led across the track with steps down onto the platform. A small goods yard was provided on the up side of the line. Hucknall was the third station in the town and was the least conveniently sited and was never well used. Most of its traffic was railway workers catching the 'Annesley Dido' train to Annesley loco shed. The station was renamed Hucknall Central on 1st June 1923. Hucknall closed when the local services were withdrawn on 4th March 1963 and the goods service was withdrawn on the same date. 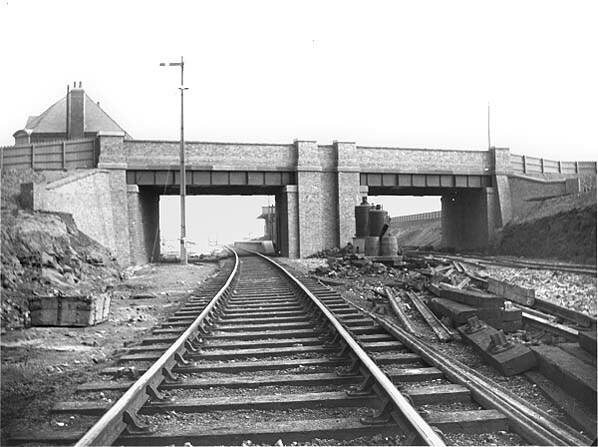 The track through the station was lifted in late 1969. In the 1890's the MS&LR began construction of its 'Derbyshire Lines', in effect the first part of its push southwards. 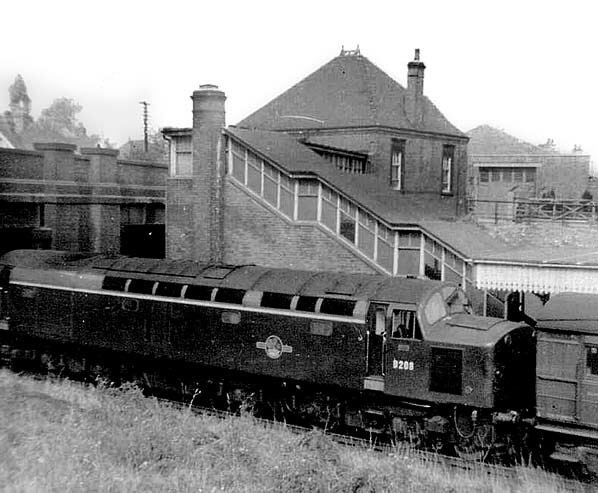 Leaving its east - west main line at Beighton Junction, some 5 1/2 miles east of Sheffield, the line headed south through the Nottingham coal field with a branch line serving its new Central Station in Chesterfield. In July 1890 the MS&LR obtained another act to extend from Chesterfield to Heath creating a loop line. Work started on this new section, of some 4¾ miles, before construction on the original line was finished and opened in July 1893. After nationalisation, the line became part of British Railways Eastern Region but was transferred to the London Midland Region in 1958. By this time the service was already in decline with the increasing popularity of the car and it was unable to compete with other north - south routes as the line passed through sparsely populated areas south of Rugby. Manchester to London express services were withdrawn on 2nd January 1960 leaving only three semi-fast trains a day and it came as little surprise when the line became the first main line to close in the Beeching era. Beeching considered that the Great Central was a duplicate route which could be sacrificed in favour of the Midland main line. 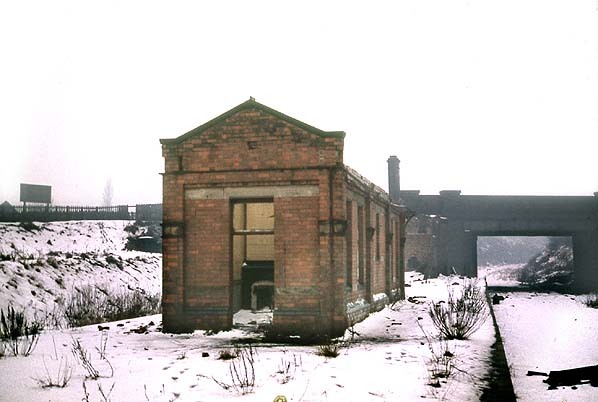 trainshed from Oxford Rewley Road which was dismantled and rebuilt at Quainton Road in 1999/2000. the track from Railtrack. Gypsum traffic resumed in 2000 with up to two daily trains and revenue from British Gypsum is used to pay off the loan. Rushcliffe Halt has now been restored and in 2003 regular services were reinstated although passenger trains south of Rushcliffe Halt are limited to the second Sunday of each month as there is no station at Loughborough. Sheffield Victoria closed on 5th January 1970 with the closure of the Woodhead route and trains from Lincoln were diverted into Sheffield Midland. Although the southern section of the main line remained open, it too was proposed for partial closure in 1986. Aylesbury was to remain open but all services would run into Paddington via Princes Risborough. Marylebone Station was due to close on 12th May 1986 but the station was eventually reprieved and the closure proposals were rescinded. Following rail privatisation in the 1990's, Chiltern Railways took over the route and in 2006 two new platforms were built at Marylebone on the site of the old daytime carriage sidings. The new platforms and partial resignalling of the station throat now make it possible to run 20 trains per hour in and out of the station. passenger services northwards to a new station called Aylesbury Vale Parkway at the point where the line crosses the A41 near Berryfields Farm. This area is to be known as the Berryfields Major Development Area and will include park and ride facilities for Aylesbury. Too see other stations on the Great Central Railway between Sheffield Victoria and Aylesbury click on the station name: Aylesbury, Waddesdon, Quainton Road (1st site), Quainton Road (2nd site)**, Calvert, Finmere, Brackley Central, Helmdon, Culworth, Woodford Halse, Charwelton, Braunston & Willoughby, Rugby Central, Lutterworth, Ashby Magna, Whetstone, Leicester Central, Leicester North***, Belgrave & Birstall, Rothley**, Swithland****, Quorn & Woodhouse**, Loughborough Central**, East Leake, Rushcliffe Halt**, Ruddington, Ruddington Factory Halt, Arkwright Street, Nottingham Victoria, Carrington, New Basford, Bulwell Common, Bulwell Hall Halt, Annesley South Junction Halt, Hollinwell & Annesley, Kirkby Bentinck, Tibshelf Town, Pilsley, Heath, Staveley Central, Renishaw Central, Killamarsh Central, Beighton (1st site), Beighton (2nd site), Woodhouse Junction, Woodhouse*, Darnall*, Sheffield Victoria & Sheffield Bridgehouses. The site of Hucknall Central Station looking south in June 2008. The station was at a lower level in a cutting which has now been infilled.